• Updated inventory and sales. Sales of our frozen inventory items has been steady but a bit sluggish since the beginning of the year. We are moving out the final inventories of h/g shore and FAS troll coho in the next couple weeks. That will leave us pretty much empty of shore coho inventory and just a few pounds of FAS coho to sell. Kurt has done a good job in selling some of the small lots of shore and FAS king salmon. Customers are pushing back on the higher frozen h/g king prices. Our halibut inventory is relatively low. I don’t see any problem moving the balance of our u/80# inventory within the next couple months. The 80/up inventory is a bit more problematic. Fewer customers are looking for larger fish. The customer we have been supplying for this size is currently full and not looking for additional product for a while. Our black cod inventory is almost completely committed to move out by early April. We only have around 15,000# of uncommitted black cod. That market has become very quiet. We are fortunate that our inventories are low as several producers are holding on to sizeable, unsold inventories of black cod. H/g chum makes up the bulk of our frozen inventory. That market has slowed down. Much of this is due to the China/USA tariff issue. China is a big market for US chums. The tariff issue slowed down the normal sale of chums between these two countries. China turned instead to fill their chum needs with Russian caught product. I do think that sales will perk up as we move closer to Easter and Lenten sales in Europe and the US. However, prices have softened from where they were in November. We just have a few pounds of frozen albacore tuna in inventory. We have enough extra inventory to work on new markets for our loin and canned products. consumer sales program became profitable for the first year. That is no easy feat taking a start up company and making it profitable in 4 years. I only see this program growing. Those “profits” in the consumer sales program go back and increase returns to all the other SPC products. Good job Kendall! Make sure you tell your friends and family to check out the www.AlaskaGoldBrand.com site and get SPC products delivered right to their door. One of the new ideas Kendall has been working on is expanding our product storage footprint. Currently Alaska Gold products are shipped out of Ferndale, WA and Richmond, VA. These two sites, particularly the Richmond site reaches a lot of the US population via ground service. Ground service, using dry ice is much cheaper than using FedEx. Kendall is looking at opening another site in Reno, NV. This will help cover CA and AZ where we have a lot of consumer customers. The Reno site will help lower shipping charges even further in the future. In the Fall, Joe Morelli, in a Co-Operator edition mentioned a desire to use our SPC members as potential Ambassador sales people. This started as a response to members who live in different parts of the US during their off-fishing seasons. They, like many of you, receive questions such as, “where can I get product like you fish that is this good”? We have heard numerous stories that there is interest for good seafood product in the locations where these members live during the winter. 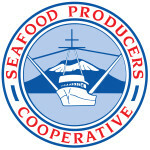 There was a meeting held in Sitka in late October to discuss such a program. Approximately 20 members attended. There was good discussion and ideas kicked around. There was interest from the members. The main thing we wanted to achieve was a way for the members to get customers to sell several of SPC’s products where they live and a sell them at a rate that exceeds what we are getting for the same product on a wholesale level. We agreed to keep things very simple to start. We agreed to create a package that held 10 lbs. each of coho, halibut, and Keta portions. We agreed that the difference of sales price the Ambassador received that was above the base cost-plus shipping would be split between the fisherman and SPC. This package was prepacked, had gel ice in the box and was ready to be shipped from Bellingham to wherever the Ambassador wanted to sell. The wholesale value of product was stated at $282.50. Several SPC members participated. Here is an example of what happened and the results. Taking the Ambassador sales price and subtracting the base price and freight equals $70.00. That is divided between the fisherman and SPC. SPC’s share goes back into increasing returns for all members. It is a win, win process. We are still in the learning process. Is this the right size pack? What type of box will work best? What variety of products and product mixes do we want to offer? Fillets, portions or h/g? How can we reduce the freight rate? These are all questions we are trying to answer. Out of this program, we have had a couple members explore different options on how to sell more volume. They have been exploring delivering products to a cold storage in their area and then make sales. The shipping cost is much less, and their percent of the sales returns are much higher. The main thing we want to do now is explore our options, so we are ready to start putting up product and have a more robust Ambassador program when the 2019 products start to be produced. If you are interested in this program, please feel free to call me directly at 360-685-8143. Current phone and fax numbers still apply to the new address.